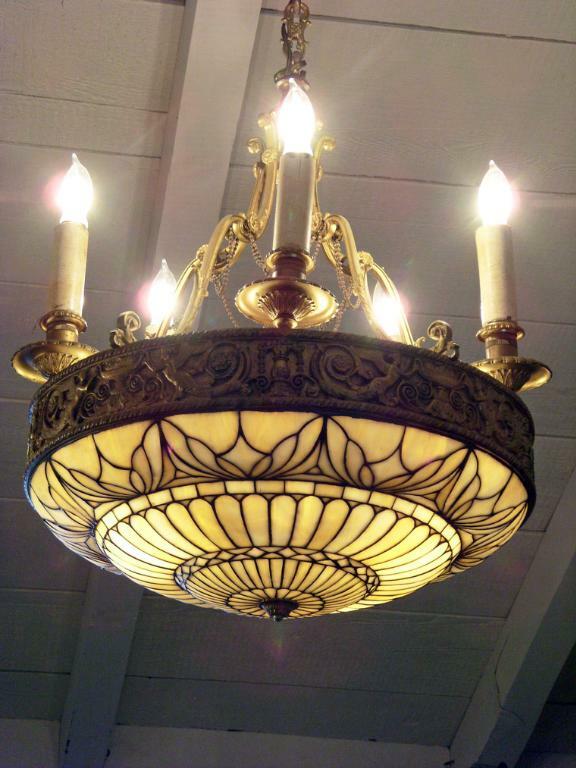 Metal and Slag Glass Hanging Fixture -- Lovely hanging light fixture with leaded carmel slag glass shade. There are five lights on the top, and three lights facing the bottom to give maximum light. It measures 25" tall from the bottom of the light to the top of the light, and l9" diameter. 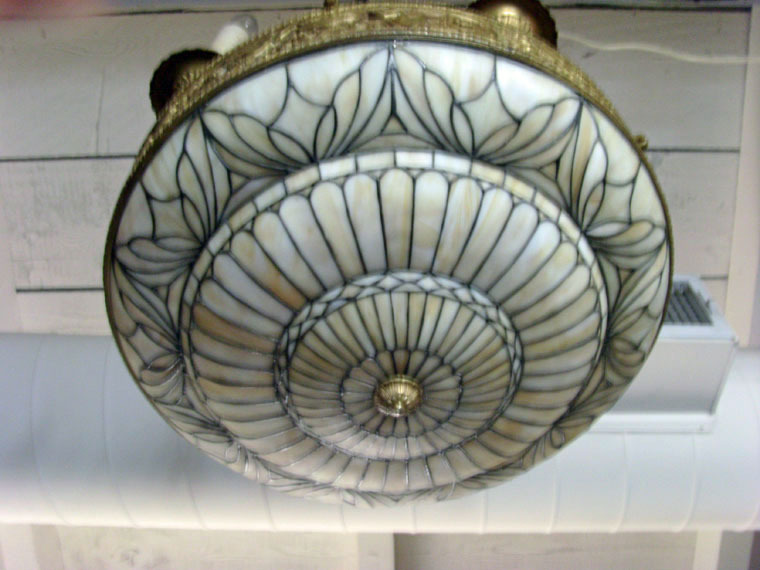 Lovely hanging light fixture with leaded carmel slag glass shade. There are five lights on the top, and three lights facing the bottom to give maximum light. It measures 25" tall from the bottom of the light to the top of the light, and l9" diameter.